Every once in a while a smart roadster or smart crossblade crosses an auction block or is for sale at a specialty car dealership in the USA. 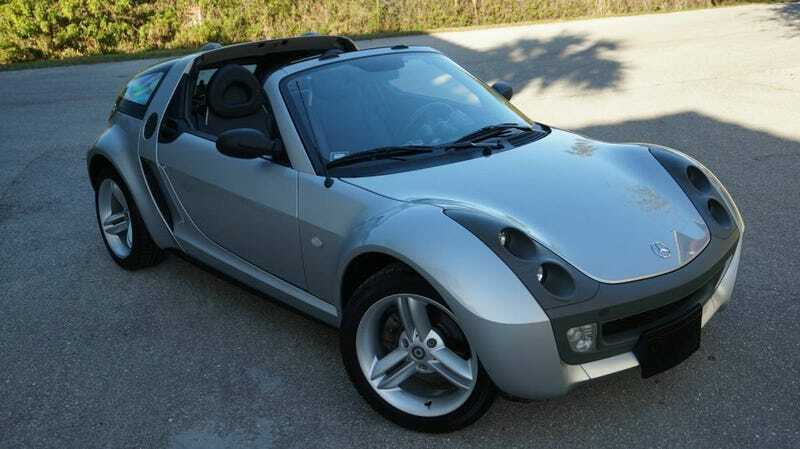 This pristine smart roadster comes from Craigslist. I’m not surprised that it has a Florida title. Florida is one of those states where they’ll give a title to just about anything. However, the existence of a title means that this car can be registered to drive in some states. Just, make sure the feds never find out that you’re driving this on the streets. Can I borrow $27k from someone? <3 I promise to pay it back! In case of Kinja, here’s the ad!